Our video elf Kringle was determined to spot Rudolph and he traveled to every location that was having bad weather, while in Poland the weather got tough. 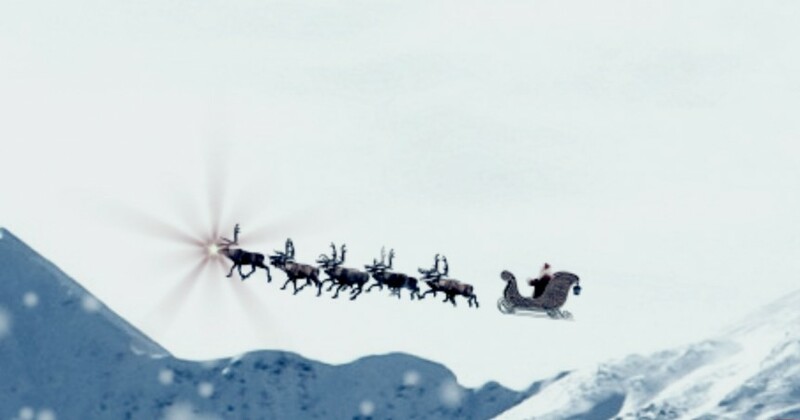 Once he heard the bells of Santa’s sleigh he knew he was going to be able to spot not only Santa but Rudolph. Here is the video he captured for us. On the night of Christmas Eve, the appearance of the first star is so important due to the remembrance of the Star of Bethlehem, that it has been given the name of “the little star” or Gwiazdka. On that evening, children watch the sky anxiously hoping to be the first to cry out, “The star has come!” Only after it appears, the family members sit down to a dinner table.